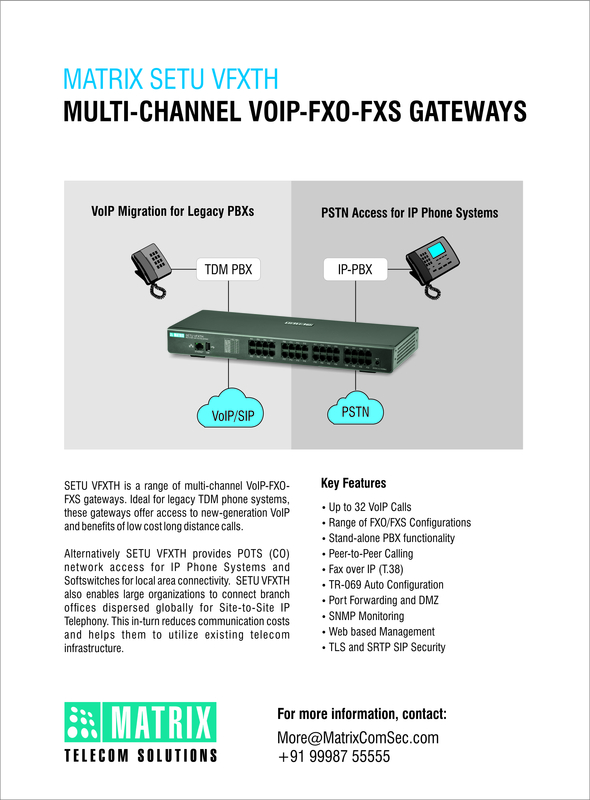 SETU VFX series is a range of multi-channel VOIP - FXO and FXS Gateways. 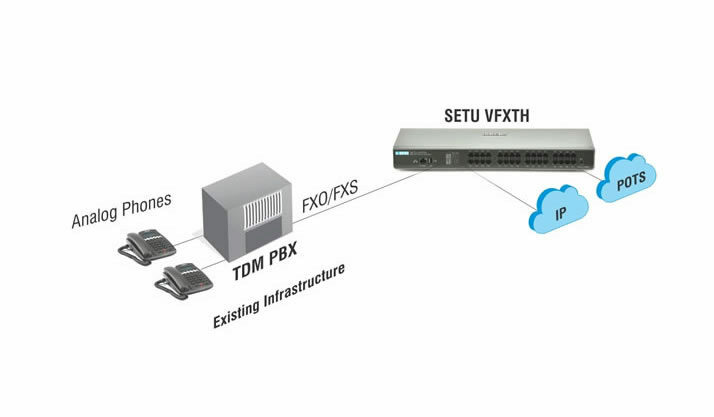 VFX series offer 4-8-16-32 FXO/FXS Gateways to connect TDM based telephony infrastructure to an IP network. 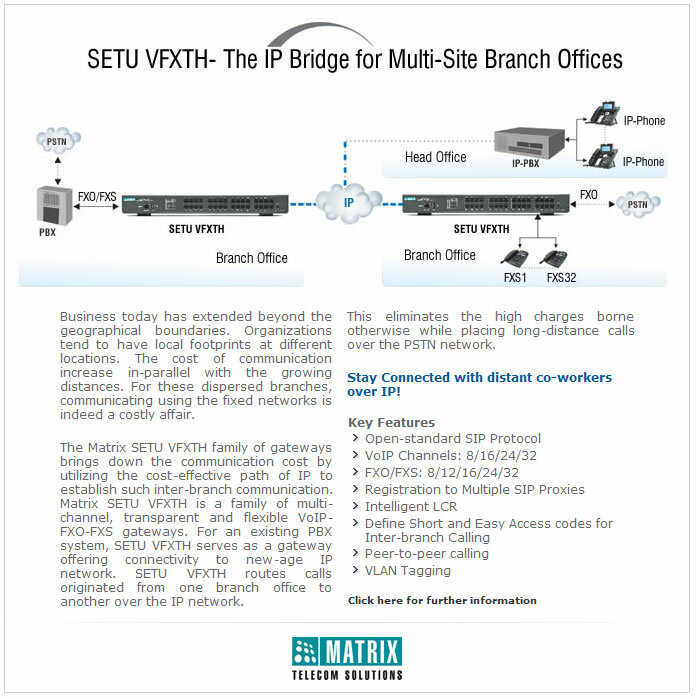 For organizations that have already migrated to IP, SETU VoIP Gateways provides POTS trunking option. 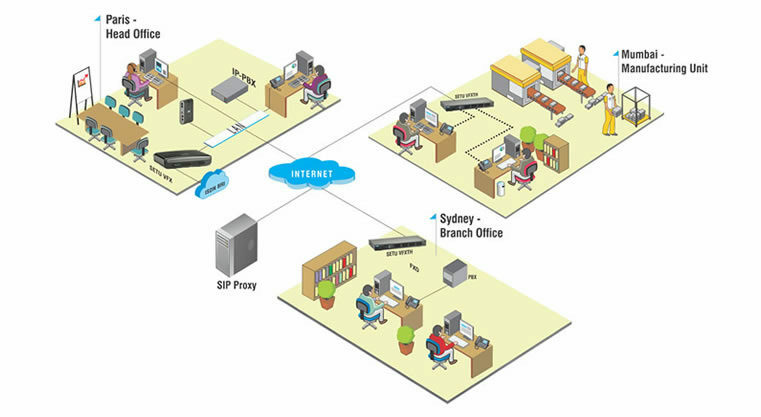 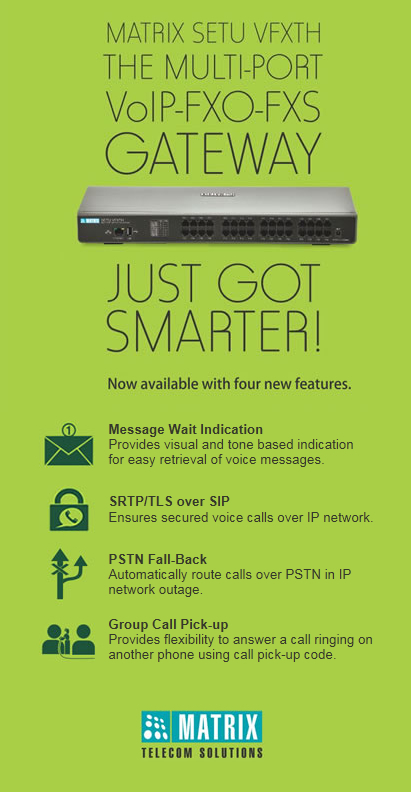 Ideal for legacy TDM phone systems, these Gateways offer access to new generation VOIP and benefits of low-cost long-distance calls.